When he was a child young Mortimer had found the battered old book bound in red buckram and taken it to his room to read by candlelight. He loves reading at night and the book fascinates him. It was called The Midnight Express and there was one picture that bothered him, disturbed him so much that he pinned it to the facing page so that he would never have to look at it. The picture showed a railway station at night with one lonely traveller on the platform facing the yawning mouth of a tunnel. The traveller’s face was turned away from him and he never finished reading the book. He grows up and one night he finds himself on a dreary railway station platform, and in front of him is a figure he knows, remembers from the book and picture from his childhood. It is not difficult for a mature adult to approach the man and walk around him to look into his face. But when Mortimer sees the face, it is his own looking back at him. He runs from the figure and the station, following the road by the canal, but the figure follows him, until at last he sees a cottage. Here the dream – or nightmare-like quality of the story - becomes intensified as he’s silently admitted by a figure wearing the wrappings of the grave who beckons him upstairs, where he enters a room and on a table in the room is a battered old book bound in red buckram. The key to this story is that intense quality of dream or nightmare. We learn no more of Mortimer than his childhood fear that follows him into the adult world and binds him in a dreadful cycle of terror. I was asked of one of my stories whether it was intentional to close the story with the same line that opened it. I explained that it once a popular way of closing stories; that the identical lines at beginning and end seemed to draw the thread of the story tight. The Midnight Express uses this device and I only wish my own story was half as good. Alfred Noyes lived 1880 – 1958 and in 1995 a nationwide survey conducted by the BBC found that his poem The Highwayman was the nation’s 15th favourite poem. He is certainly better remembered as a poet. 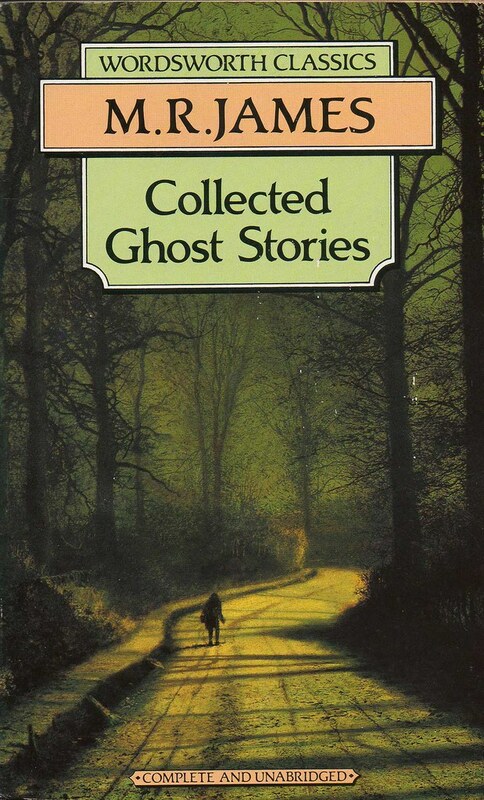 This story may be found in The 8th Fontana Book of Great Ghost Stories and 65 Great Tales of Horror and the Supernatural, both edited by Mary Danby, and Bar the Doors edited by Alfred Hitchcock (‘Hitchcock’ of course probably actually Peter Haining). So far this is the only story I have found by this author.